I use my wool dryer balls for most of my laundry as a fabric softener. They work so well, but, I need a fabric softener for use with my hand washables. I don't dry those. This is a quick and inexpensive fabric softener for those times when you don't have or use the store bought. 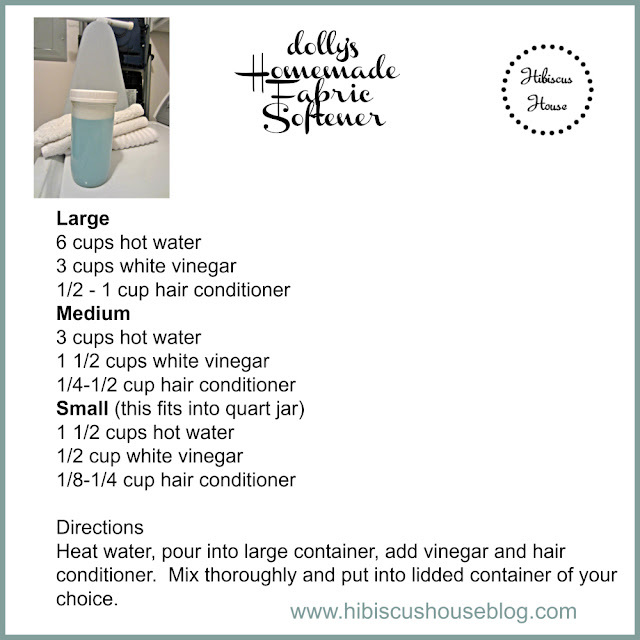 You don't need the hair conditioner and could use for scent an essential oil of your choice. 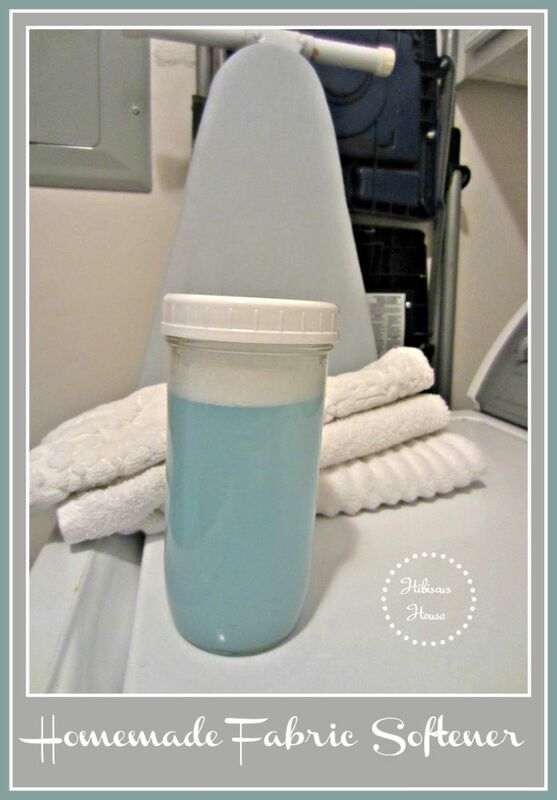 I just happen to have quite a supply of these hair conditions purchased when they were all the rage in making fabric softeners and don't want to waste them. * Actually you don't need a scent, I just hate the smell of vinegar even though it disappears with time. I made the small mix today because that is all I need for now. 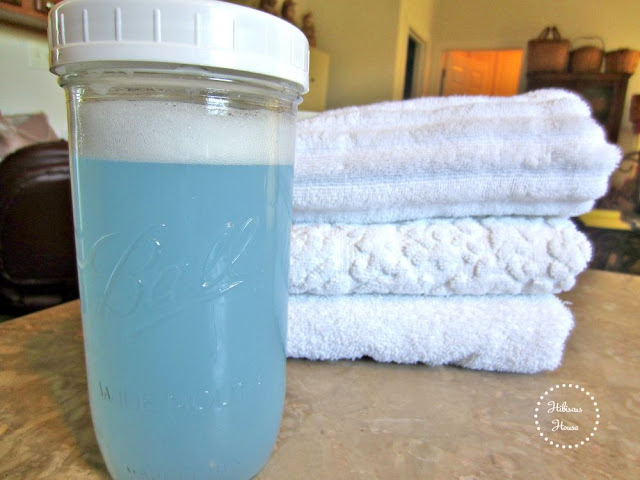 **The small batch fits into a 1 quart container or canning jar with lid. There is enough room for shaking a little before use as well. ***You can cut the hair conditioner in half as well and it still will give a lighter softening. 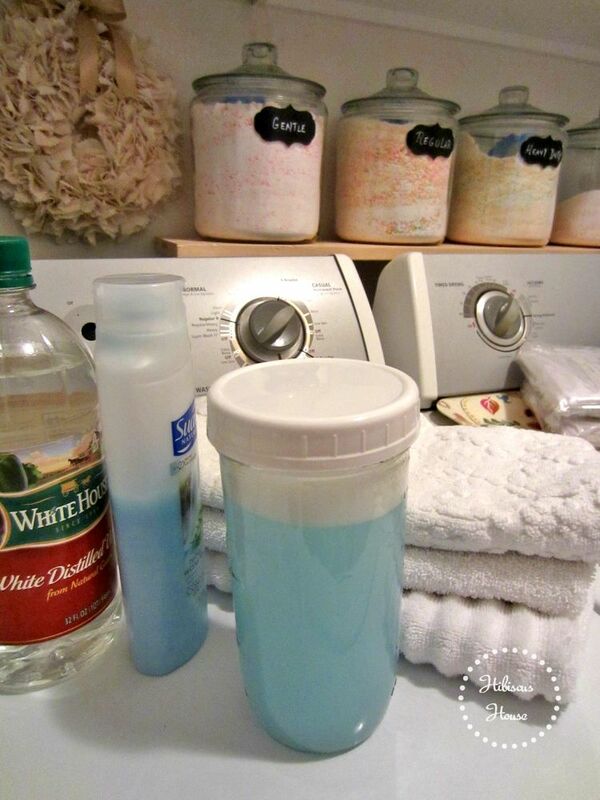 OMG, I LOVE THIS, AND WILL BE MAKING THIS TO KEEP ON HAND, BECAUSE WE OFTEN RUN OUT OF FABRIC SOFTENER. Cool, let me know how you like it. Thanks too!